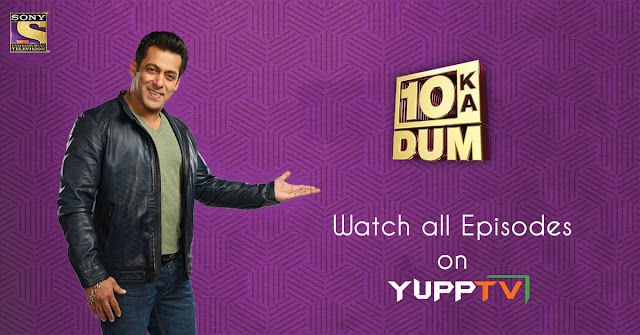 One of the massively successful Reality Game Show Dus Ka Dum hosted by Salman Khan that has completed two successive seasons in 2008 and 2009 and has returned with the third after a huge gap of 9 years. The show which was a breath of fresh air for the Hindi Audience was aired on Sony TV and was highly appreciated by the masses. The season 3 of the show has commenced on June 4th, 2018, and has already gathered a large number of viewers in the first episodes. Dus Ka Dum show is highly reputable among the Indian audience because of Salman Khan. The show enables commoners to win as much as 10 crore rupees, a figure that was never a part of any reality show. It comprised of two rounds of which two participants in the first round and the one who wins more moves onto the second round. The questions put forward to the contestants are based on national surveys in which he has to choose a percentage that is closest to the answer. As the game moves forward the questions get tougher and the range becomes narrow. Salman Khan’s personality and his natural conversing style took the show to the heights it is at now. He also won the best Anchor Award in 2008 and in 2009 for hosting Dus Ka Dum. The first two episodes of season three that have been aired last week, entertained the audience just as much as they did almost a decade ago. Bigger Star than he ever was, Salman Khan didn’t budge even a little from his original style in which he started the show. Dus Ka Dum Season 3 will be aired every Monday and Tuesday on Sony TV. Watch it on YuppTV from Europe, UK, and all of Asia Pacific Region.